Old school renewable energy. Source: Google Images. I’ve written before about one of my main principles of portfolio management: diversification. Very important, as I come to this investment game with much humility regarding my ability to forecast asset returns. Choosing many different return streams should *hopefully* give the family portfolio the best chance at steady, but appreciable, gains. Returns seem decent-high: most projects offer 6-10% p.a. interest, with tenors of 5-10 years. Way better than the ~2%ish on government debt, or ~3.5% on corporate debt. Bond security seems decent: in the docs I’ve seen, the asset (e.g. 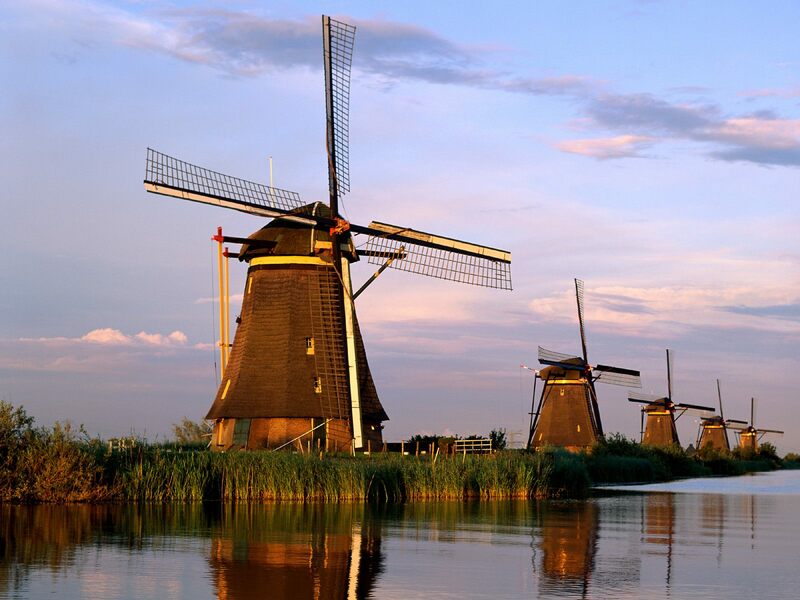 a windmill) is pledged as security for the bonds. So more security than you get with the debt mentioned above. Key risk is government risk: the economics of renewable energy are still tightly bound to government subsidies of various sorts. In the UK (the focus of my research) the overarching EU scheme forces countries to generate ~30% of power through renewables by 2020. The UK, for one, is nowhere near this. So the government has rolled out several programmes to ensure those building renewable infrastructure get a guaranteed revenue stream. BUT – as my dad always says, the only risk you can’t hedge is government risk. In this case, suppose way more windmills get built than can possibly be used – would the government still provide the subsidies, particularly when some/all of these subsidies are paid through consumers’ energy bills? Other risks seem mostly insured/hedged: these include construction insurance, operating insurance, power purchase agreements, etc. In sum: the juicy return is in return for government risk. If subsidies get slashed, with no grandfathering, you (as bondholder) end up with a windmill which generates uneconomic power. Will I invest? Given the timeline for most of these subsidies/schemes/agreements/quotas measure decades, it might be worth a punt for 5-10 years. By then, we’ll likely either have far too much renewable energy than we know what to do with (not, in itself, a bad thing) or maintain status quo of needing more (with associated subsidies). Much in recent press arguing against hedge funds. Probably related to news of another large pension fund divesting completely. Plenty of vitriol around; a good summary of why not to invest in HFs from Barry Ritholtz is here, which further sources material from FT regarding ‘zombie funds’. Problem with averages + performance persistence = opportunities. I recently wrote about how alternative asset managers (including HFs) show much more persistence in returns, unlike conventional asset managers. Thus, as often thrown in as a throwaway comment in the articles above, there are managers out there which consistently beat the averages to provide attractive returns. Unlike picking the best-performing long-only equity manager, hedge fund managers tend to show more consistent outperformance. Risk premium diversification, at needed risk level. Though most articles focus on how not diversifying hedge funds are as a group (probably because HF indices tend to have a massive overweight towards Long/Short equity and credit, which have high correlations to long-only equity), there remain several investment strategies which provide true diversification (e.g. managed futures/CTA). Though some of these diversifying strategies are available in more conventional form – e.g. through an ETF or mutual fund – I appreciate the additional capital efficiency provided by higher-risk versions in ‘proper’ hedge funds. More of a barbell approach to alternative investments (an aside – here is a new paper by Nassim Taleb et al. regarding mathematical justification for a barbell approach). In sum: hedge funds can be massive wastes of fees, particularly if their performance starts to look very much like long-only equity. However, even a small bit of due diligence can yield solid managers with solid track records in solid diversifying strategies. Persistence in investment manager performance – can he/she keep it up? Persistence as link to risk premia: suppose we have an underlying risk which is investable – e.g. economic growth, inflation, credit worth. If the underlying risk remains (e.g. the economy continues to grow), while folks remain uncertain about the extent and timing of the risk (e.g. some believe the economy is about to crash, versus others who believe it will continue growing), we should reasonably expect persistence in the risk premium over the very long run. Solution: invest in risk exposures (‘betas’) for the very long run, e.g. long equity ETFs. Persistence among long-only asset managers: suppose we’re considering buying equities; now we wonder whether to put all long-equity investment into basic ETFs, or give some to long-only managers. After all, several guys seem to have done very well, relative to the broad market, so can’t we pick well? The answer is generally no, you are very unlikely to pick a long-only manager well. In several studies – including this one – long-only manager skill is shown to have near zero persistence. That means, while it’s possible to choose the rockstar manager for a short period of time, over the long-run you’ll likely end up with mediocre or worse returns versus the benchmark. Solution: stick with pure index ETFs for long-only exposure. Persistence among alternative asset managers: now suppose you’re looking at alternative strategies, such as hedge funds, managed futures or private equity. In contrast with #2, there is persistence in alternative manager alpha (e.g. see here). With many hedge fund sectors, the best relative performers in the past remain so in future. Solution: assuming everyone is accepting new capital, feel free to use historical track record relative to peers, when choosing alternative asset managers. What am I not saying? I’m not characterising persistence here as something magic – e.g. a 10% gain last year implies a 10% gain this year, or something like that. Persistence mainly revolves around the very long term, with the noisiness of markets wiping out observed persistence over short time spans. So the ‘Past performance … ‘ statement is absolutely correct in that, for example, we shouldn’t expect performance from fixed income long-only funds to be anywhere near as strong as in the past; the market conditions just aren’t there right now. However, the underlying risk premium which fixed income funds exploit isn’t likely going away in the long term; there will likely be more gains to come for these funds. In sum: keep those long-only ETFs as a basic exposure to (persistent) risk premia. Don’t bother with rockstar long-only asset managers… you’ll likely be disappointed in the end. Past (relative) performance for alternative asset managers seems to have more persistence, so feel free to use historical track records as a data point when considering these guys. Who is dumb enough to pay 2 and 20? Me, actually. Source: Google Images. 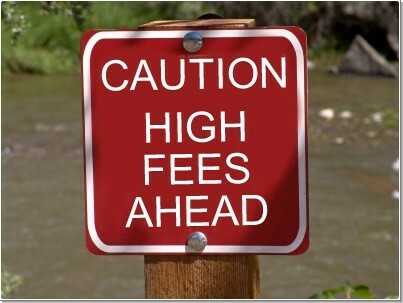 The alternative investment world (namely private equity and hedge funds) has grown fat on the 2 and 20 fee structure. For those unaware, that means 2% p.a. management fees, plus 20% of all investment gains, paid by the investor. Sounds steep, right? It is. With the poor relative returns of alts the past five years (versus a screaming S&P 500, I mean), there has been much vitriol over the old fee structure. A watershed moment may have been Calpers’s decision to close its hedge fund portfolio; I say watershed mainly because of the publicity generated, rather than the impact on the alt investment business. With $4bn in hedge funds, Calpers wasn’t close a huge hedge fund investor. Will the bank or asset manager compensate his for this luck/skill? Maybe: it definitely worked for a guy like Andrew Hall. But maybe not: what does this guy do then? Perhaps he starts trading his own money, or those of a close circle: thus begins prop firms, which are ubiquitous in the business. Especially for strategies that are low-capital outlay and/or high ‘edge’ (e.g. discretionary macro or HFT market making, respectively). Pay the bills: office expenses, Bloomberg feed, etc. Incentivise the manager: this guy supposedly has a great idea, so he wants to be compensated for making others rich. Yearly office expenses, including hiring a couple guys to make the fund viable (I have in mind a CRO/COO and a CFO/CLO, with ~$150k salary each) probably runs $500k-$1m. Starting capital for a fund is frequently targeted at around $25-50m. So 2% of this amount pays the office expenses. Of course the strategy type matters here, but let’s imagine the expected gross (pre-fees) performance of the strategy is 15% p.a. The owner of the fund company (the guy who came up with the strategy) gets 20% * (15% – 2%) = 2.6% of AUM p.a. in incentive fees. With $25-50m AUM, and a successful year, the strategy owner makes $650k-$1.3m for managing the fund. So our guy with a great idea made a million bucks (assuming he gets all the performance fee). Hopefully this quick illustration shows why 2 and 20 is so ‘standard’: at reasonable startup AUM, this is the sort of fee structure needed to pay office expenses + give enough incentive to the guy with the strategy in the first place. Where did/does it go wrong? I think 2 and 20 can be contrasted with a group like Vanguard (pre the news this morning that the latter may have used taxpayer funds to subsidise its operations). As AUM swells, the 2 becomes a larger and larger profit centre for the fund. At some point, the 20 becomes just an upside call, with 2 being the prime focus. That’s when fund volatility drops, institutional investors (wanting low volatility and lower fees for high-AUM checks) are in charge, and hedge fund performance starts dragging. I don’t think I’m unique in spotting that hedge funds relying on the 2 frequently begin to ‘calm things down’ to protect assets. Aside: I recall being on the road, listening to long-time clients saying ‘please don’t drop your volatility target…I am paying you for the volatility’. Thankfully there were enough of those investors to keep AUM at a sustainable level, so the target didn’t need to be compromised. Groups like Vanguard instead use the higher AUM to spread their office expenses wider and thinner… management fees as a % drop as AUM increases. Though this frequently happens with hedge funds as well (fee discounts become more and more common), the Vanguard model is more explicit and mechanical, and benefits investors equally. OK, back on point. When would I pay 2 and 20? I believe in the strategy. Clearly. I’m convinced the 2 is used to pay office expenses. That means the organisation running the fund needs that fee level to sustain operations. I don’t want the smart guy with the strategy fretting whether to buy a data set because the check will bounce. The fund owner(s) are satisfied, but a bit hungry, with the 20%. I want my asset manager rich, but I want him to keep trading my money. So not too rich to do silly things, nor so rich that he/she walks away. Also, not making so little that his/her opportunity to go back to the bank/big firm becomes the right choice. To be clear, having a high-water mark is a necessity: no multiple bites! Perhaps the best part of being a CFA is a ‘free’ (with membership fees) subscription to the Financial Analysts Journal. This publication can usually be relied upon to have one or two half-wonkish articles directly applicable to everyday portfolios in each issue. Impressive stats from the portfolio they construct, even with reasonable transaction costs assumed, and inability to rebalance too much in things like number 9 above. A lot of these strategies fall into the Expected Returns overview that Ilmanen wrote years ago. I’ve come across these strategies in the expensive hedge-fund world, but not many in cheap mutual fund world as of yet. If any of you hear of these guys starting an accessible fund, let me know. Otherwise, I’m off to implement some of these trades by myself! I’ve been posting a lot about seeking diversification….so what about commodities? I mean, surely they’re the obvious addition to an equity/bond portfolio? Long = wrong. Long-only commodities is a poor choice, in my opinion. I think of it this way: there is no fundamental reason for commodities to endlessly grow – unlike, say, equities. Yes, each area of commodities (grains, metals, energies) has had a good run at different times. But they can fall seemingly without end (such as grains recently). A vehicle for those who disagree with me can go for an ETF such as DBC to keep long commodities exposure. Roll yield matters. Another reason I don’t buy long-only commodities is the roll cost. Back in the day (I’m thinking JM Keynes’s “normal backwardation” concept) most commodities paid long positions roll yield; incidentally this became a large part of the return for holding commodities. With the advent of much long-only money, backwardation became contango; thus long-only has to pay for the privilege of holding a position. I don’t like this. Simple strategies help a lot. Back to my days in hedge fund land. Just about any combination of momentum, carry, and seasonality strategies can outperform long-only. So I stick with these. In sum, these reasons underpin one of the key reasons I picked a managed futures mutual fund the other day. Access to that different return stream, without paying away the roll yield each and every month.